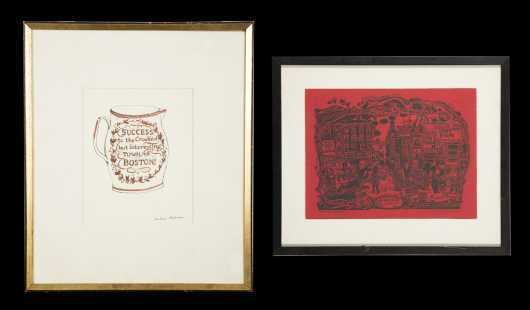 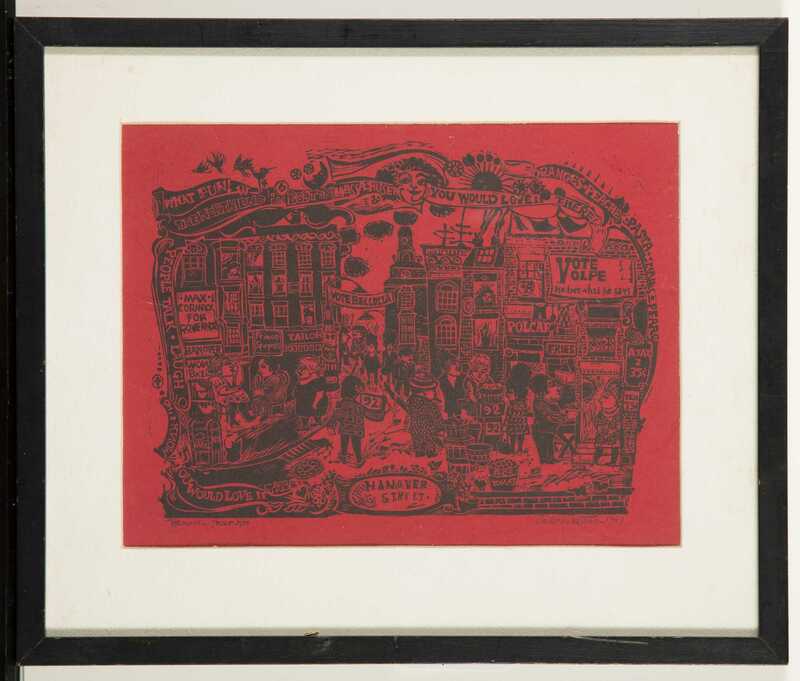 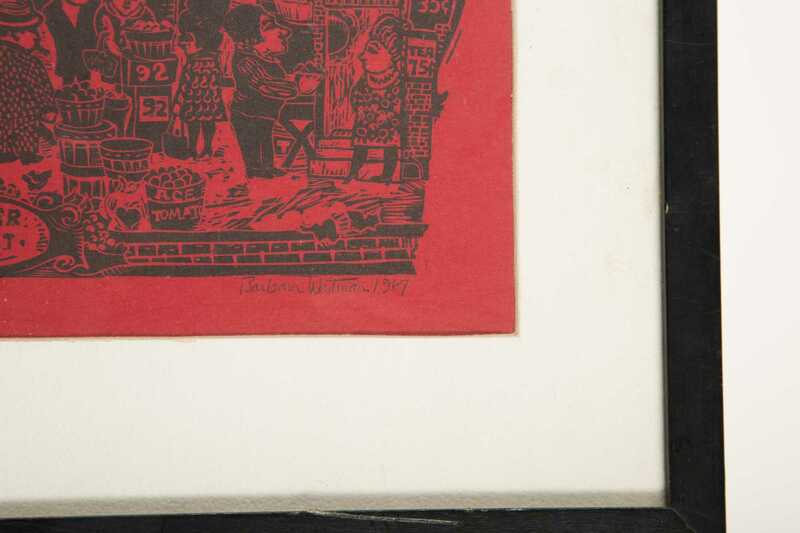 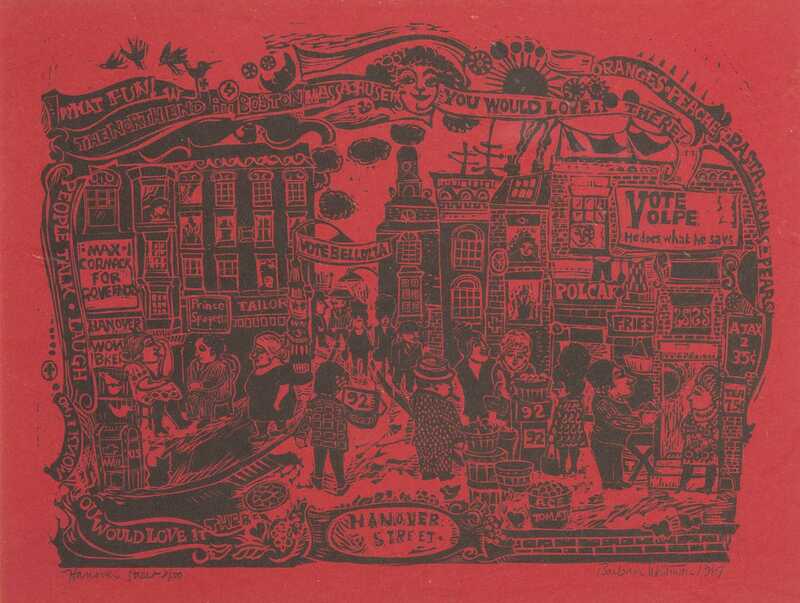 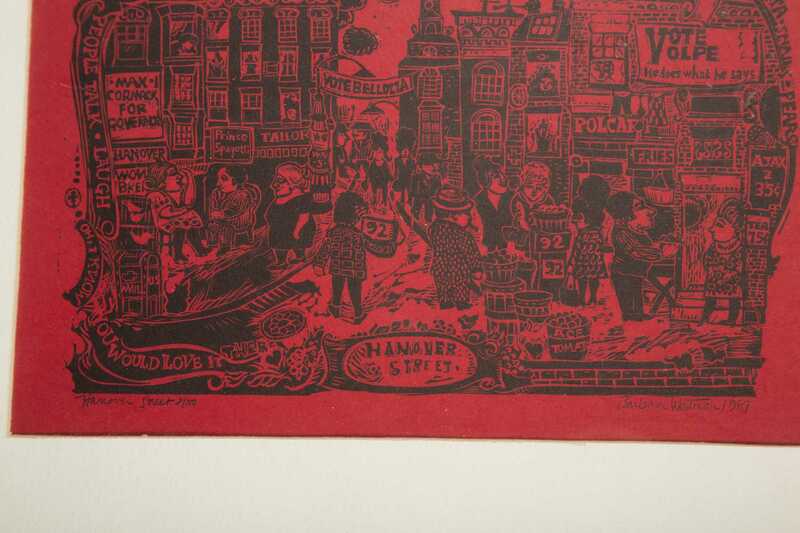 Barbara Westman, American (Born 1929), Two Boston based artworks, A) Woodblock, black ink on red paper, "Hanover Street, 8/50", signed lower right "Barbara Westman 1967", 10 1/4" x 7 3/4" sight, matted and framed in black wooden frame. 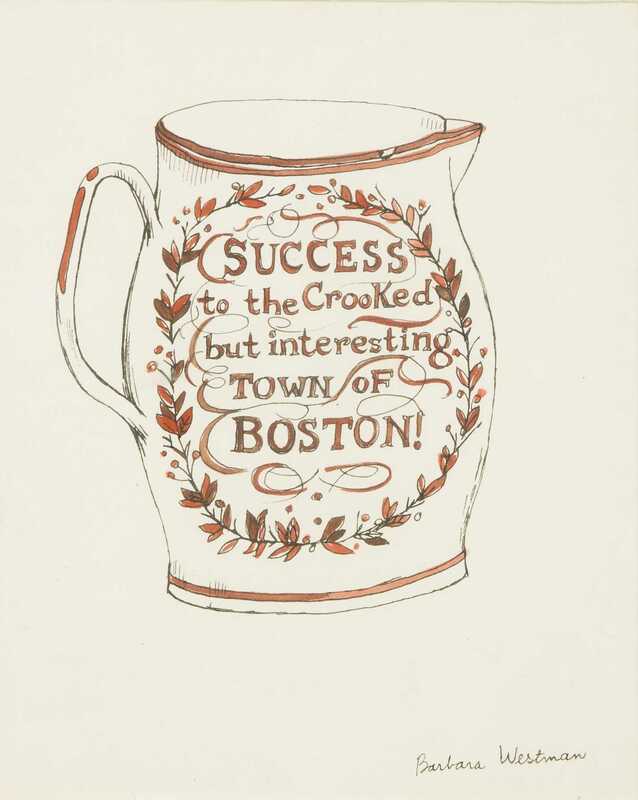 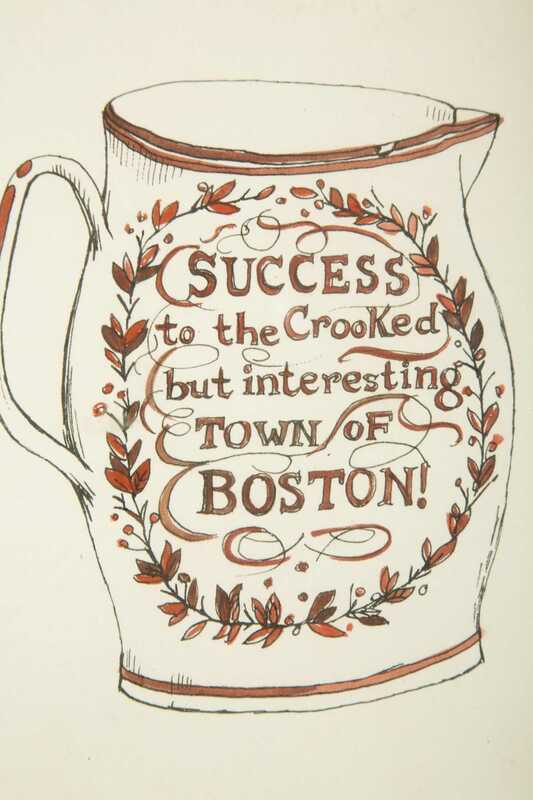 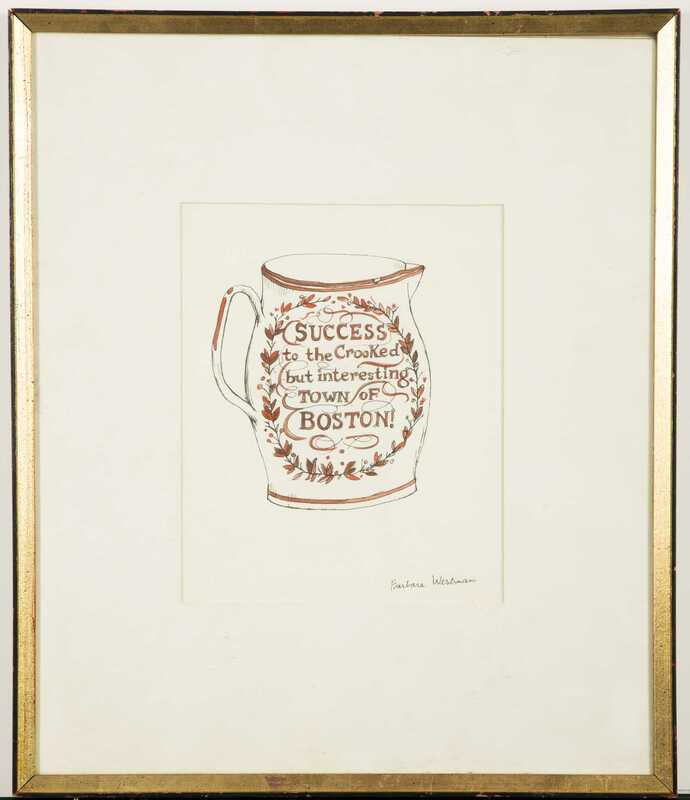 B) Drawing in ink and red watercolor, a decorated pitcher with leaves and the text, "Success to the Crooked but interesting Town of Boston! 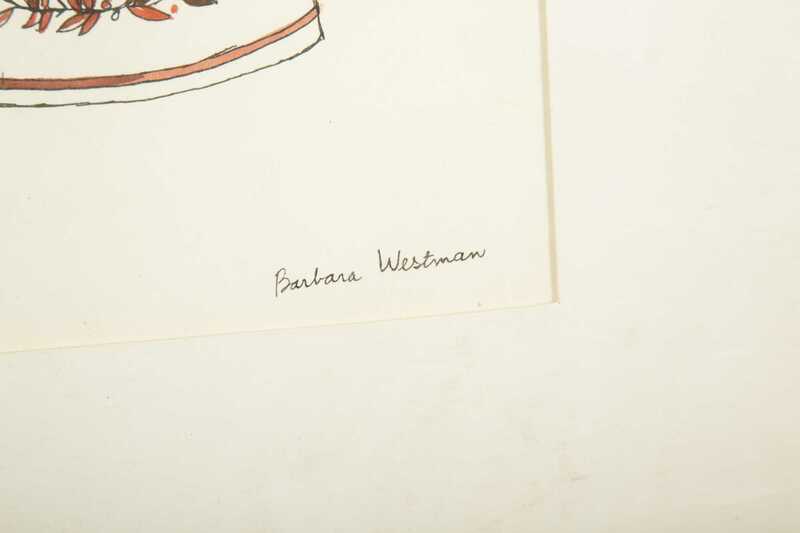 ", signed lower right, "Barbara Westman", 9 1/8" x 7 3/8" sight, matted and framed under glass in old gold frame.